On Tu Bishvat, one of the fruits we eat is olives. The Hebrew word for olive tree is "etz shemen," meaning “tree of oil”. As you probably know, olives can be squeezed to make olive oil, which has many uses in Jewish tradition. Back in the times of the Mishkan and Beis Hamikdash, we used olive oil to light the Menorah, and to kindle our Shabbat lights. When our prophet Shmuel anointed Saul and David as kings, he poured olive oil over their foreheads. Moshe also poured olive oil over Aharon’s head when he became the Kohen Gadol. When we offered daily korbanos in the Beis Hamikdash, olive oil was used in the service. For a deeper understanding of olive trees and olives, I’ll explain how the olive tree symbolizes our nation. Let’s start with the root of the tree. Our roots are Avraham and Yitzchak. Why are they our roots? Avraham was full of chesed – kindness; always inviting people to his tent, cleansing their neshama by feeding them Kosher food, and teaching them to bless HaShem. Then there’s Yitzchak, whose trait was gevurah – strength. He never doubted the will of HaShem. Even when he knew he would be offered as a sacrifice on Mt. Moriah, he nevertheless went along with his father, having faith in Hashem. The trunk can symbolize Yaakov. He was emet – truth. Truth is the ability to interpret reality from all perspectives, and not be confined only to one, narrow view. When we apply both a strict view and a compassionate view, we are getting a truthful perspective. The branches of the olive tree symbolize the 12 tribes. From the branches come the twigs and leaves. The twigs and leaves are the families of Israel. 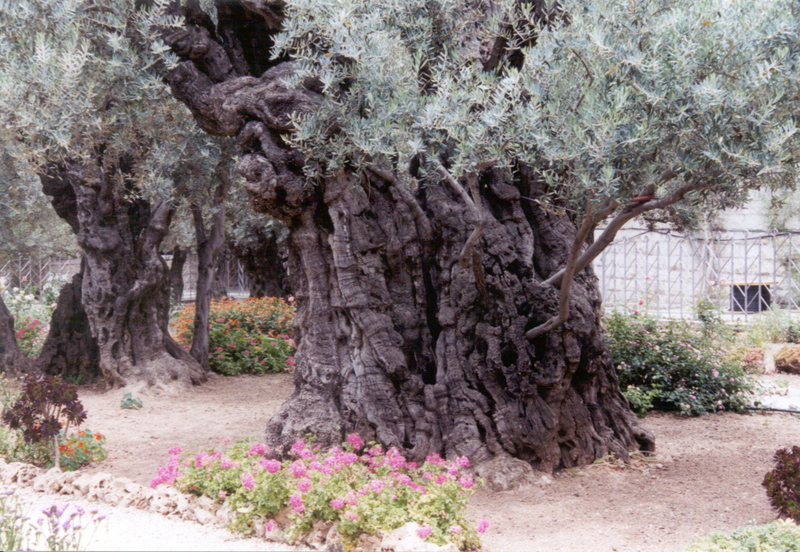 The "crown jewels" of the olive tree are the olives, which are the young children of the nation who are studying torah and following Hashem’s ways. וְהִנֵּה עֲלֵה-זַיִת טָרָף בְּפִיהָ; וַיֵּדַע נֹחַ, כִּי קַלּוּ הַמַּיִם מֵעַל הָאָרֶץ. This shows that despite the deluge, the olive tree remained with leaves and twigs, symbolizing the reemergence of life and hope after a devastation. He shall be like a tree planted by waters, sending forth its roots by a stream; It doesn’t sense the coming of heat, its leaves are ever fresh; It doesn’t cease to yield fruit. This means that as long as we follow the commandments, read the Torah, and do mitzvot, we can overcome hardships that come in our way. At times we may falter but because Hashem is with us, we can persevere.